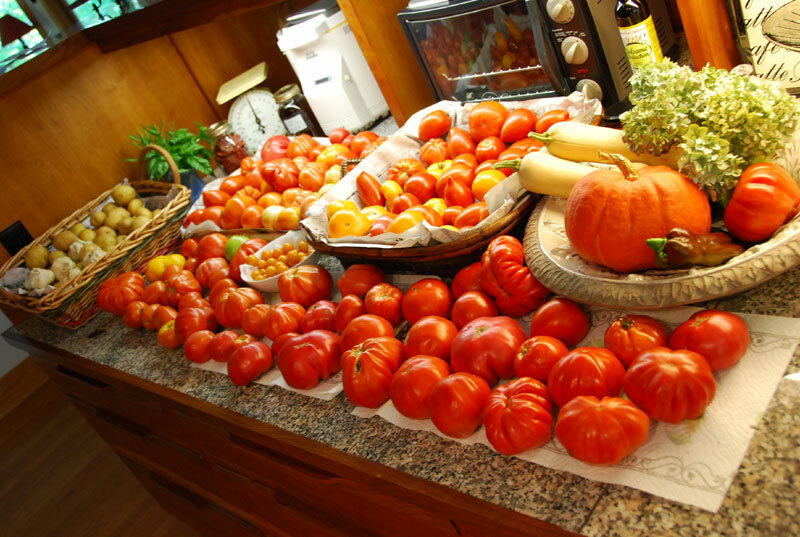 Fruits, vegetables and herbs do not have to be confined to their own separate spaces in your garden. 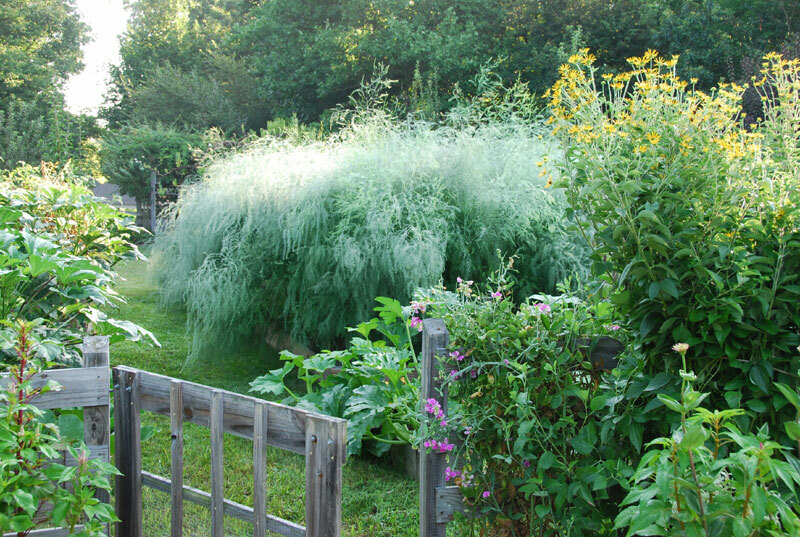 They can be added to potted arrangements, mixed in flower borders, tucked between shrubs or can fill their own sculpted beds. 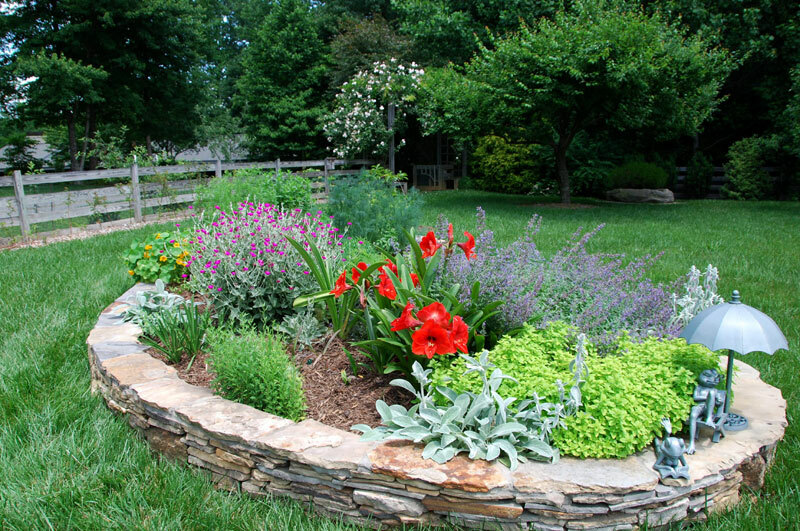 Here are some ideas for fitting these into a home landscape. You may click on any photo for a LARGER view. 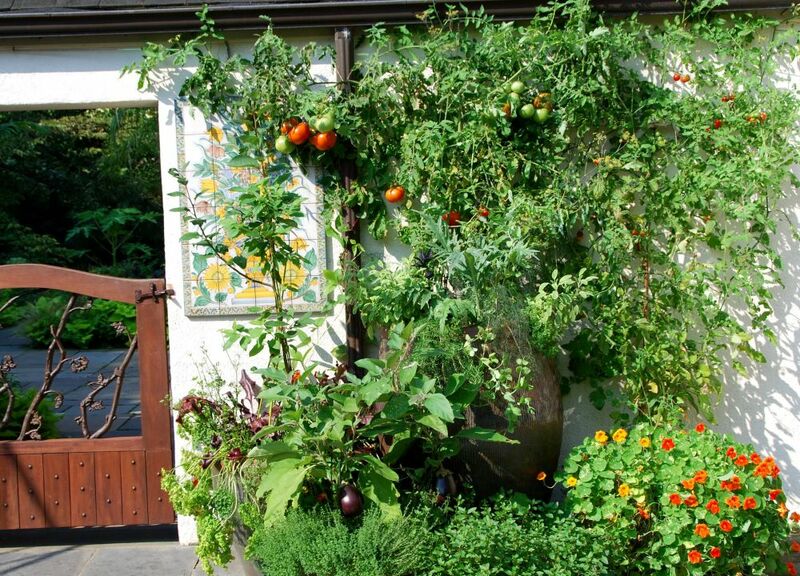 A Potted Vegetable & Herb garden decorated the entrance at Chanticleer in Wayne, Pa. 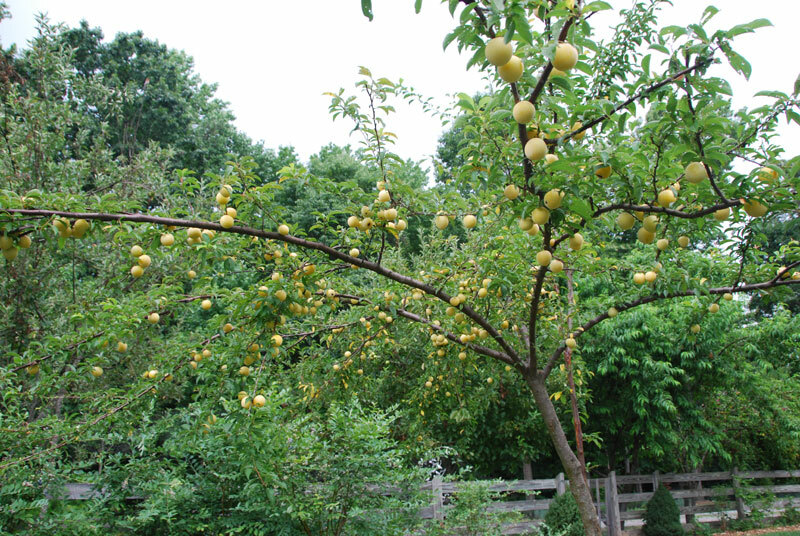 This 'Shiro' Plum Tree has large delicious yellow plums and gorgeous spring blooms.. 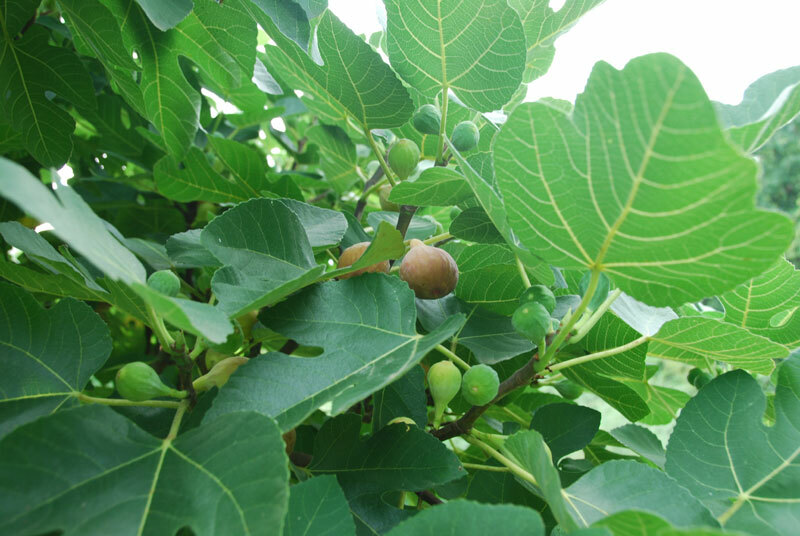 Fig Trees grow like large shrubs with big tropical looking foliage - and yummy fruit! 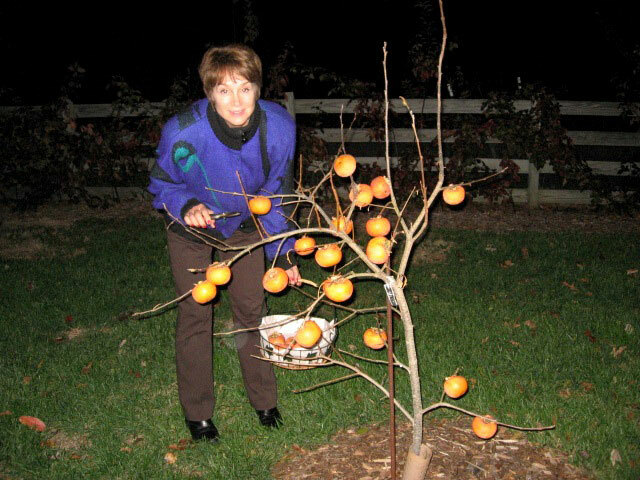 Large, seedless Japanese persimmons hang ripe on the tree on November 20.